Our iconic BMW sedan just got even better. The all-new, seventh generation, 2019 BMW 3 Series, brings the classic sleek design of our sedan model with more innovation, power, performance, and design. This new model brings “The Ultimate Driving Machine” to a whole other level. This BMW is the world’s highest-selling premium car for a reason. Our 2019 BMW 3 Series packs a punch. This sedan features numerous detail upgrades that not only make this model lighter and smoother with reduced friction, the new digital engine management system allows this BMW to go an impressive 0 to 60 in 5.6 seconds. This model features an 8-speed Sport Steptronic transmission, allowing improved acceleration ability and provides an Auto Start Stop function. These features reduce both fuel consumption and emissions. In addition to the reduced emissions and reduced fuel consumption featured on this model, BMW has updated this sedan with the latest plug-in hybrid drive technology. The 2019 BMW 3 Series has more power and torque, more innovations, and is more sustainable. The new BMW 3 Series now has enhanced driving dynamics which create more agile handling, higher precision steering, and superior braking performance. The updated weight optimization of this model allows for a low center of gravity, providing a perfect 50:50 balance in weight between the front and rear weight distribution. All new, shock absorber technology has been applied to the 2019 BMW 3 Series, creating a sportiness and comfort unrivaled by any other manufacturer, allowing for a much smoother ride. 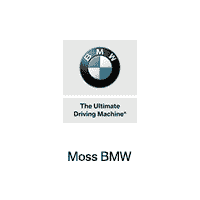 BMW has always brought the classic luxury and sporting flair to our vehicles. The new 2019 BMW 3 Series is no exception. This vehicle provides a modern interpretation of the sporting aesthetic while showcasing a longer and sleeker design. The longer design allows for a more spacious cabin and a lighter look. The driver is gifted with increased comfortability, added space, and adjustability with the new Vernasca leather seating, with a shape and design allowing for more focus on the road ahead. The interior also comes in a choice of five colors and includes special decorative quilting and seam patterns. The new design also features improved trunk space. Whether you need space for your luggage on a business trip, or taking the kids to soccer practice, you have the room to fit everything you need. The BMW Live Cockpit comes with the standard hi-fi audio features with ten speakers and a 205-watt amplifier. You can also select the optional Harman Kardon surround sound system, which upgrades the system to 16 speakers and a digital 7-channel amplifier generating over 460 watts. Our Driver Assistance Systems take your driving experience to new heights with added cameras and sensors to alert the driver of hazards and to minimize the risk of an accident utilizing corrective braking and steering.